Jon Griffith’s photo book Alpine Exposures is the culmination of over ten years photographing in the Alps. Full of breath-taking images that depict some of the best ways to move in the mountains, this is the coffee table book you wanted for those days where you can not head out yourself or need some motivation to get up at 1 am. I have been following Jonathan Griffith’s photography since many years via his blog and Facebook so when word came out that he was working on a photo book I knew it would be superb. 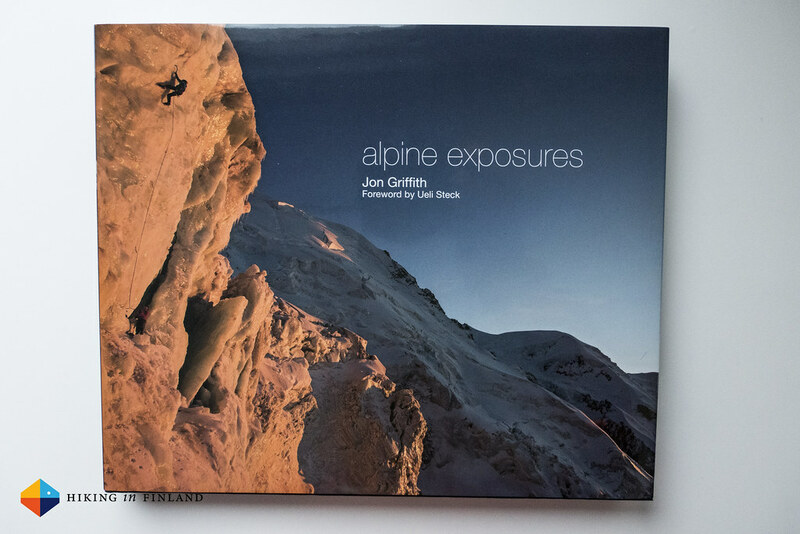 Jon regularly kept readers and Fans up to date about the process of producing and publishing this book, and just in time for the holidays the alpine exposures came out last November. Alpine Exposures starts off with a Foreword by Ueli Steck which is one of the best forewords I have read in a while. 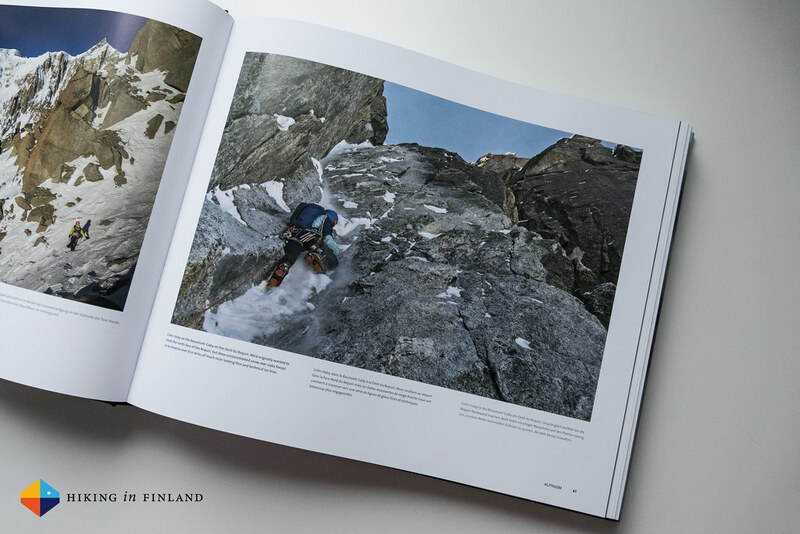 Honest and appraising, highlighting why Jon takes such good photos (because he’s a mountaineer first, photographer second) Ueli sets the tone for the book and gets you excited to turn the pages. Jon follows that up with an equally touching Introduction before you meet some of Jon’s rope partners and then you can start to enjoy the photos. The book is written in three languages: English, French and German. This lingual trinity is well executed with a good layout that’s easy to read and follow throughout the book. 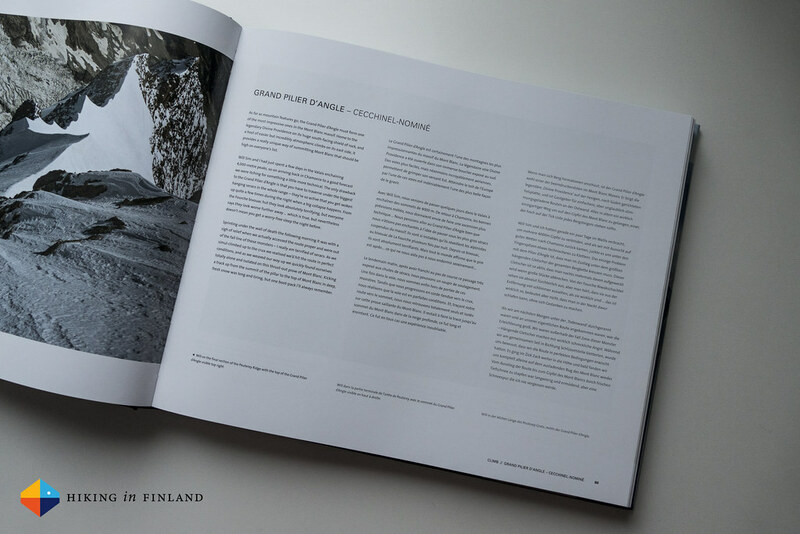 It’s high-quality paper that depicts the superb images very well, and it’s a pleasure to read the book. The photos all are from real situations, so no fake “Lets go to the Aiguille Du Midi and do some shoots on the Cosmiques” kind of photos. The seven distinct chapters in the book show Jon’s favourite photos from Alpinism, Skiing, Climbing, Landscape, Ice Climbing, Flight (BASE and Paragliding) and Work. In between the photos are here and there short anecdotes from climbs and work trips, and some climbs are highlighted in longer photo essays which not just give you an idea of the route if you’re planning to climb it yourself, it also adds variation to the book and makes it very interesting for alpinists that want to attempt some of these routes. This is the coffee table book you wished you would have gotten as a present from Santa last Christmas. Cover to cover it features breathtaking photos from the mountains and people having fun in them, and will inspire you to make a trip to Chamonix as soon as possible so you can experience the beauty yourself. It’s a book for alpinists, climbers and photographers and you’ll have a hard time putting it down once you start to read it. View a 60 page sample online, if you’re convinced (and you will be!) you can buy your copy of alpine exposures directly from Jon at Alpine Exposures, your local book shop or order it online from Amazon.co.uk, Amazon.com or Amazon.de.